Thank you attendees for joining us in Cincinnati! Click here for some of our favorite images from the Annual Meeting. Full Registration - Includes all educational programming and events Saturday - Tuesday. Two-Day Registration - Includes education programming and events on Monday and Tuesday. Also includes entry into the Sunday evening reception. International Attendees: Letters of invitation to the ACE Annual Meeting are only provided after the registration form has been completed and the registration fee has been paid. Please contact [email protected] to receive your letter of invitation if needed for your visa application. ACE is unable to provide financial assistance to international attendees. Should your visa application be denied, ACE will refund the paid registration fee after receiving proof of denial. Cancellation & Refund Policy: Refunds will be issued for cancellations of registrations for the ACE meeting if received up to two weeks before the start of the event (September 7, 2018 or before). Written requests are required. There will be $50 administration fee deducted from the total registration fee. Refund requests received within two weeks of the start of the event (September 8, 2018 or after) will be issued in case of documented medical emergency, family emergency, war, terrorism, government regulations, natural disaster, strikes, civil disorder, or curtailment of transportation facilities. The room block at the Kingsgate Marriott is now closed, however you can still reserve a room at the their regular rate. You may make your reservation through the Kingsgate Marriott's website or by calling 888.720.1299. Click here for the map, travel, and parking information for the Kingsgate Marriott. Programming will be held on the University of Cincinnati Campus in the Medical Sciences Building (MSB) and at the Cincinnati Children’s Hospital Medical Center (CCHMC). To view a map of the campus and our locations, please click here. Registration will be located in the foyer outside the Kresge Auditorium in the MSB. For more detailed information about shuttles, parking, walking maps, and more, please click here. Physicians self-claim Category 2 credit and keep track/record of any hours they are claiming for Category 2. A credit hour is equal to 60 minutes. Credits may be claimed in quarter hour increments. Category 2 credit is not awarded by Cincinnati Children’s Hospital Continuing Medical Education office and they will not have record of it. Life course epidemiology has been defined as “the study of long term effects on later health or disease risk of physical or social exposures during gestation, childhood, adolescence, young adulthood and later adult life.” This broad theoretical framework encompasses the well-known ‘fetal origins of adult disease’ hypothesis, but also recognizes that exposures, periods of susceptibility and modifiable causal pathways along the lifespan offer opportunities for effective interventions in the community (to remove or mitigate exposures) and in the health care system (to improve treatment effectiveness and prevent downstream adverse health outcomes). This work requires a large concerted effort that must connect epidemiologic research with the basic sciences and with clinical and translational research. The deployment of strategies that will result in better population health also needs to be supported by policies that influence how we manage the environment, how we provide health care and how we promote healthy consumer behavior and provide market incentives for positive change. 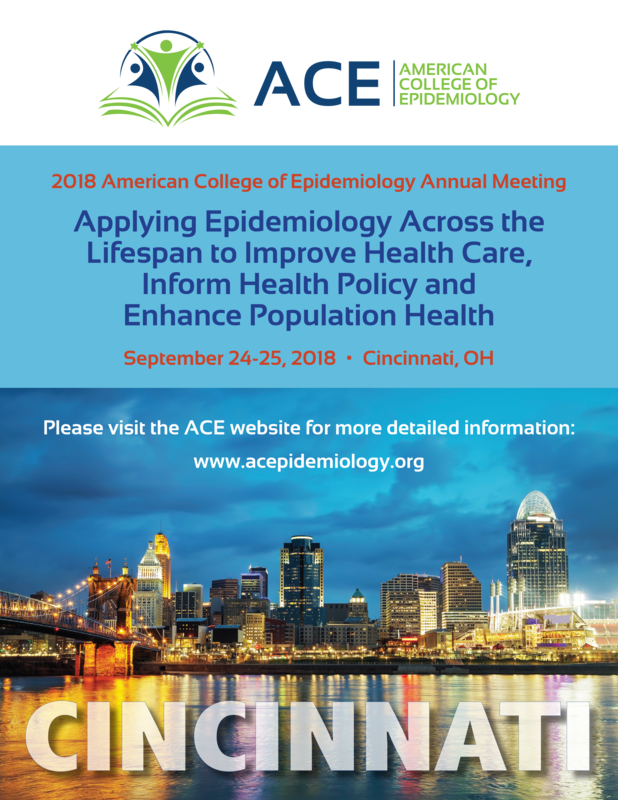 The goal of this ACE meeting is to highlight priority areas across the lifespan where epidemiology can advance population health using translational approaches and discuss experiences that can serve as models for intervention. To view the full program PDF, please click here. Workshops will run 8:00 AM - 12:00 PM and 1:00 PM - 5:00 PM. Lunch will be available from 12:00 - 1:00 PM. Sponsored by the Policy Committee, Mentoring Committee, Associate Members Committee, the Annals of Epidemiology, Healthy People 2030. 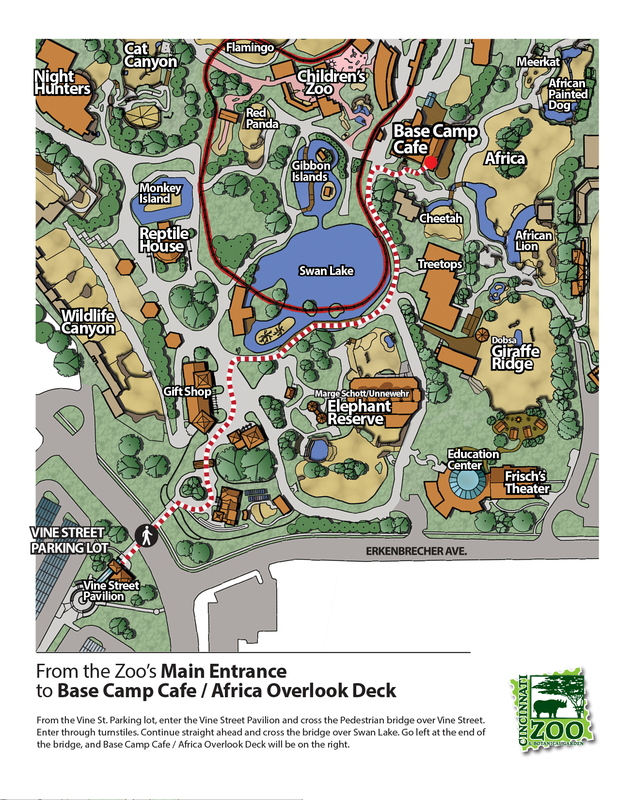 Transportation to, and from, the Zoo will be provided. There will be two buses picking up attendees at the Kingsgate Marriott at 6:30 pm and one bus picking up at the Medical Sciences Building at conclusion of the ACE Business Meeting. 4. "Breakfast with the ACE Minority Affairs Committee"